With a direct flight from Larnarca in Southern Cyprus to Cairo, it was just a matter of dropping our hire car at the border crossing and having our friend Ozge pick us up from there and drive us across the border to Larnarca airport. A 90-minute flight and we were at Cairo Airport. And then the fun began. We went to the ATM and withdrew some Egyptian Pounds to pay for our visas, which you pick up at one of the two banks inside the terminal. Trouble was, they only accept US Dollars and Euros, not their own currency. Mmmm. Problem. We talked to Egypt Air and they suggested talking to the Police. In the end, Dee convinced them to take our pounds, which one of the more seasoned travellers told us they had to do. Egypt is really struggling for foreign currency given the economic predicament they find themselves in. They import just about everything and with tourism having dried up since the 2011 failed revolution, things are pretty tight. There’s actually 3 exchange rates. The official one, the Bank of Egypt one and the black market one. Suggestion number 1 is to bring as many US Dollars as you feel comfortable doing. And lots of $1 notes for baksheesh, as everyone expects a tip. Once through the airport, we got ourselves Egyptian SIM cards from the Vodaphone counter at the airport. 95 Egyptian Pounds (about 11USD) for unlimited talk and text plus 3GB of data for our 3 weeks. We’d arranged a driver for $35US to take us to the hotel, but this was a bit of overkill as taxis are dirt cheap. With taxis we got them to use the meter and tracked them with Google Maps, just to keep them on the straight and narrow, which most of them were. You can also negotiate a rate, after you’ve talked to someone at the hotel or airport who will generally let you know what’s reasonable. And then you’ve got to add a tip (banshee) on top of this at the end, but the Egyptian pound is so cheap that this really isn’t much. The trick is to may sure you get enough small notes – not easy as nobody wants to give up their small change. We splurged a bit in Cairo and stayed in the Intercontinental, right on the Nile. Hotels are really cheap at the moment so it was our big change to stay in something top end. Well top end for Cairo. Next morning it was off to the Pyramids – of course. We’d arranged a tour through Emo Tours, who were the guys who picked us up from the airport. Having now experienced Egypt, we would probably find a good taxi driver and negotiate a day rate with him. For the Pyramids, I would also organize an Egyptologist, probably by getting the Taxi driver to find us one as well. We used a Taxi driver in Luxor to great effect and we like this strategy. Having said that, the tour was great and he took us across the Nile to the Giza side, where all the old Egyptian stuff is. The tour was in chronological order so the first stop was Memphis, which was where the Great Egyptian dynasties all kicked off, way back, 5000 years ago. 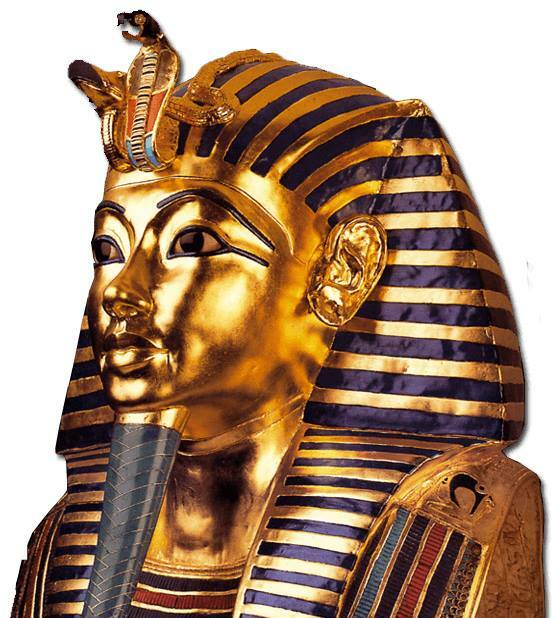 Memphis was the capital of Ancient Egypt for over eight consecutive dynasties during the Old Kingdom. It has a few cool statues including a huge 10m statue of Rameses 2, lying on its side, but the city is pretty much gone now so a 30 minute stop is all that’s required. 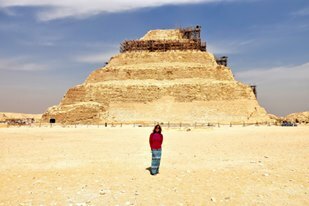 Next stop was Saqqara, where the famous Step pyramid of Djoser is. Saqqara was the necropolis for Memphis. As well as the Step Pyramid, there was also a cool underground tomb as well as some amazing tombs of the nobles, with some colour still left in the wall paintings. Seeing these, you are blown away not only by the age of the tombs and paintings, but also by just how good the art was in these tombs. These guys were great artists in their own right. By now it was lunchtime, and we stopped at a local restaurant from where you could see the Great Pyramids of Cheops. The food was good and the view excellent. After lunch, we went for a closer look. Our guide explained that this was a renowned pick pocketing area and went through some of the methods the thieving bast@@ds employed. I’d taken a concealed money belt and left my wallet behind, so we survived with the same bits and pieces that we had gone in with. It goes without saying that the pyramids were amazing. Not sure what else to add here as it’s all been said before. Unfortunately the haze of Cairo makes it difficult to take photos that do them justice. 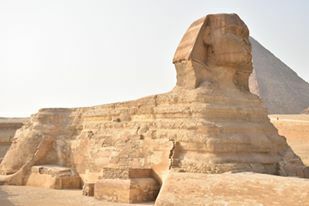 After wandering around a few of the pyramids, we headed down the hill to the Sphinx, which is evidently the biggest carving made out of a single piece of stone. Again its simply wow. It’s deteriorating fast so hopefully they find a way of preserving it. We snapped away with heaps of photos, it really is quite mind-blowingly fantastic. They were setting up for a concert in front of the Sphinx and unfortunately we found out later that it was Bryan Adams – would have tried to get tickets if we could have. Instead we had dinner at the hotel and walked around downtown at night. Once we had learned the art of crossing the road we were right. It is an acquired art – our strategy was to line up behind someone else crossing the street and use them as a sort of human shield. Must have worked as I’m now writing about it. There are 22 Million people in Cairo – roughly the size of whole of Australia, and they all seemed to me to be out shopping or driving that night. Cairo traffic is an exercise in the chaos theory. Traffic lights are only ever obeyed if there is a policeman present. A three lane highway is really a five lane highway and horns are a regularly used communication mechanism. Amongst all this are some taxi drivers who are convinced their taxi is a F1 Ferrari, and weave in and out of the traffic with millimetres to spare. Despite this, it was nice wandering the streets. Everyone was very friendly and loved to stop for a chat, although a few times this lead to them taking us to their shop or their uncle’s shop. We weren’t worried walking around at night as there were people everywhere and people were quite relaxed and happy. Next day, we walked around to the Egyptian Museum. We arrived pretty much as it opened and headed straight upstairs to King Tukenkarmen’s exhibit. It was mindblowing to see the famous mask. And we had the whole room to ourselves. There was a heap of stuff they’d recovered from his tomb and it was all there, glittering away. Unfortunately no photos were allowed so you will have to go and see it for yourselves. The rest of the museum contained lots of amazing stuff – very old and ancient stuff from 3500 years ago to Greek and Roman times. The museum building was beautiful but poorly kept. The exhibits were scattered and information was scarce, and for one of the World’s great museums it needs a major facelift and some real organization. There’s been talk of rehousing it forever but nothings happened. Maybe they need to increase the admission price for foreigners to fund this. It took us a good 2-3 hours to see everything, and once done we wandered down to the river and caught a local ferry for a couple of Egyptian Pounds each (about 40c aussie). The ferry didn’t quite get us to old Cairo so we hopped in a Taxi. Taxis are incredibly cheap if you use the meter AND google maps to stop the driver taking off in a completely wrong direction To be fair, this only happened to us once where we had to stop the taxi and get another one. Old Cairo was our next destination, which dates back to early Christianity, before the Arabs brought Islam to Egypt. We visited the Coptic museum and a few nice old Coptic Churches, which are essentially Greek Orthodox. Interesting history of early Christianity. Next it was a short taxi ride to the Citadel and Muhammad Ali Mosque. 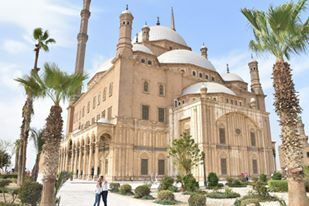 They call Cairo the City of 1000 mosques and we managed to knock off a couple of impressive ones as well as a pretty good citadel. We finished off the day with a trip to the huge bazaar at Khan el-Khalili, where we got lost wandering through the many little alley ways of this extensive souk. Next day we took a trip to Alexandria by Taxi. Our first stop was Qaitbey Fort on the water of the Mediterranean. Then we had a shot at finding Rasel-Tin Palace on the water, only to find the problem of taking a Cairo taxi to Alexandria – they tend to have no idea where anything is. In the end we found it sort of, it was closed as it was used by the military these days. By then it was time for lunch, so it was back to a Greek fish restaurant by the Yacht Club for a nice view and some food. Next stop was Pompeii’s Pillar, somewhere our taxi driver had no idea how to get there. Luckily Mr. Google did – sort of. Alexandria’s traffic jams are every bit as good as Cairo’s if not worse, and after several wrong turns our taxi driver made it, just before his nerves completely gave way. Pompeii’s Pillar is 30m high, making it the largest column in the Greco-Roman world. There’s also a couple of sphinxes at the front of the column but that’s pretty much it. But the pillar was worth a look. Then it was off to the Alexandria Library, or so we thought. Our taxi driver had no idea of how to get there and kept stopping to ask along the way. When he missed a turn to get there, he just gave up and headed back to Cairo, leaving two unhappy campers in the back seat. It was all too much for him. And so we ended up going all the way to Alexandria and seeing two things. And to make matters worse he didn’t take the main road back, instead we drove through the delta, which took forever. This was a real bummer as we were due to catch up with Ahmed, who used to work with us in Australia. In the end, we got there and caught another taxi out to some nice botanical gardens, where Ahmed had suggested a great restaurant. Ahmed is living in Cairo before he returns to Australia later this year and it was great to catch up. Ahmed gave us a lot of good info about Egypt, as well as talking a bit about IT of course. So that was Cairo, and Alexandria. Next day, it was up early to fly to Luxor. We got there at 8am and got a taxi to our hotel right on the Nile. Hotels were dirt cheap and we could pretty well pick and choose. The driver ended up over charging us, so no more business for him. Instead the next taxi driver we used turned out to be wonderful. Hamdi took us everywhere for a couple of hundred Egyptian Pounds a Day ($20AUD). 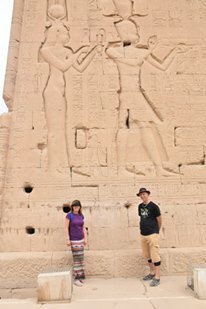 On our first day we did the East Bank, and were blown away by the giant statues and wonderful carvings at both Luxor Temple and Karnak Temple. Karnak Temple was just so big with rows and rows of columns. Overall it covers 123 hectares and simply blows your socks off. In between visiting the Temples we checked out the Luxor museum, which was brilliantly presented (especially when compared to the ramshackle displays in Cairo Museum). Next day, we headed over the Nile to the West Bank. Ancient Egyptians used to live on the East Bank and bury their dead on the West Bank; on the basis that this is where the sun went down. First stop was the Temple of Queen Hatshepsut (Hot Chicken Soup) at El-Deir. It was very striking, set back in a natural amphitheatre at the foot of steep oche coloured cliffs. Then it was off to the uber famous Valley of Kings. We bought our tickets – which allowed us to pick 3 tombs to visit and paid an extra 50LE for Rameses 6 Tomb and one other tomb, which was mind blowingly fantastic. A lot of the tombs were closed because it was low season, and we passed on King Tut’s tomb as it was evidently nothing to write home about, as everything is now in the Egyptian Museum in Cairo. Next stop was the Valley of Queens, which was a bit of a let down after the Valley of the Kings. We were disappoint to learn that they only open the Tomb of Nefertari for special groups of people who pay a lot of money. It’s supposed to be pretty special given that they spent $2 million restoring it. After a really nice lunch in a mini-oasis, it was off to the Rameseseum, an open-air site that the Louvre is still excavating. It’s a vast area where archeologists have rebuilt monuments once new discoveries have been made. It was a long day by the end and we finished off by checking out the Colossi of Memnon, a couple of famous tall statues that mark the border between the cultivated land and the desert where all the tombs were. But the day wasn’t over yet as we took the opportunity to see the light show at Karnak Temple at 8pm that night. That was pretty cool, wandering around a 3000 year old temple at night, listening to the stories from those times. The next day, we got Hamdi, at his suggestion, to drive 2 hours through the countryside to Dendarra, a brilliant temple with really cool colourful columns in the inner halls. It turned out to be one of our favourite temples and well worth the drive through the country-side with tractors piled high with sugar cane and lots of fruits and veggies. Then it was back to Luxor to fill in the afternoon with all the stuff we hadn’t yet seen on the West Bank. The authorities wouldn’t let tourists travel on the desert road that goes to the west of the Nile so we had to take the long way around. Once we got there, we checked out the Valley of the Nobles and the Tombs of the Workers, both of which were quite impressive, before going to the Temple of Seti and then onto Howard Carters House, which was set out as he had it in the 1930’s when he lived there. There was a replica King Tut tomb at the back of the house and that was good given I’d passed on seeing the one in the Valley of the Kings. Next day, we checked out of the hotel and onto the M/S Royal Ruby, for our trip down the Nile. We passed on the Luxor tours that the boat ran as we’d already done them, and instead took the opportunity to wander the souk, checking out the little stalls selling everything and anything. We finished the day with a drink at the famous Winter Palace Hotel, where Agatha stayed and wrote Death on the Nile. A Gin and Tonic was sort of obligatory! Next day, it was off sailing down the Nile. We sat on the top deck, watching the world go by – very relaxing. It was still a bit cold to swim in the pool so the quick dip we had was very quick. We got to the locks just on dark, and managed to beat most of the other river boats so we didn’t have to wait too long. Then we motored up to our overnight stop in Edfu. The next day it was up early and off to Horus Temple by horse and carriage. We spent about an hour wandering around the Temple with our guide, filling us in on a lot of Egyptian mythology, before heading back to the boat. The rest of the day was pleasantly spent cruising down the Nile, peering out over our white wines as the countryside drifted by. As night fell, we visited the wheel house and had fun with the Captain as we watched him bring the boat to the dock in Kom Ombo. Here we had a night time visit to the Temple shared by two gods Sobek & Haeroris. Outside the temple, Dee got to play with a couple of African Cobras, that had had their venomous teeth removed – evidently! After yet another interesting and beautiful temple visit, we had dinner and then went to the bar for an Egyptian Galabya party, where everyone dressed up in trtaditional Egyptian garb. A whole lot of Egyptian Archeology Students from Alexandria rocked up on board in Edbu and we had great fun dancing with them all – along with having numerous selfies taken with them all. Next morning, we woke up in Aswan, our final destination. After breakfast, we hopped on a traditional felucca for a sail on the Nile. We visited a botanical garden set up by Lord Carnarvon on Kitchner Island, which had trees and plants from just about everywhere in the world. Then we transferred to a outboard engine powered boat for a trip through the cataracts past yet more islands to visit a Nubian Village. The Nubians are the locals that live on the upper Nile and into Sudan, dark skinned people who dress really colourfully and live life to the full with lots of music and laughter. We drank tea and listened to a wonderful sing along. Hopping back in the boat, we headed back to the Royal Ruby passing Elephantine Island, with its elephant like rock formations that give it its name. After lunch, we jumped into a car and drove over the low dam built in the 20’s to the high dam, built in the 1980’s. Lake Nassar is huge, and the dam was quite interesting in it enormity. Another drive and a boat trip saw us at Philae Temple, which used to be on another island until UNESCO moved its 11,000 pieces to a higher island that escaped the clutches of the rising waters from the high dam. That night was our last on the Royal Ruby and we were treated to a Nubian floor show. Very colourful. Next day we left the boat and checked into our hotel right on the Nile. We then caught a local ferry across the Nile to the Nobles Tombs on West Bank. These turned out to be really interesting and we were quite surprised that the cruise boats didn’t include them on their land tour itinerary. Another local ferry back and we checked out the Souk – my favourite in Egypt. It ran for miles, one street back from the Nile. Then we caught another local ferry across to Elaphantine Island, where we wandered around until we got to the Museum, which turned out to be closed. We hopped on another boat and headed off for a drink at the Old Cataracts Hotel, another Nile institution. It was quite spectacular, sitting there, drinking wine overlooking the Nile with feluccas going back and forth between the cliff we were perched on and Elaphantine Island. Tough life. After drinks we hopped on another river boat and went down the Nile to our Hotel. The Nile in Aswan is at its most stunning and it was great to get out on it whenever we could. Next day, it was up early and off to Abu Simbel, one of the highlights of Egypt. We took a tour and it was a 3 hour min-bus ride there across the desert, heading along Lake Nassar, near the Sudanese border. Abu Simbel is pretty much famous around the world having been “moved” up above the water line of Lake Nassar, before the lake could cover it. The magnificent great temple was built by Rameses Number 2 and boy did Rameses love himself, given that all the huge carvings of himself – makes The Donald look a bit look shy and reserved in comparison. The 4 statues at the front are carved into the rock face, all Rameses 2 and measure 20m high, bigger than the giant ones at Luxor. Inside is really interesting too, a huge space cut out of the rock, with more statues of the good pharaoh along with painted scenes of the battle of Qadesh against the Hittites that he evidently fought magnificently in. 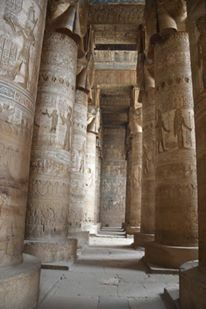 Next to the Great Temple is the smaller Temple of Hathor, dedicated to his wife, Queen Nefertari. Interestingly, the good queen was a Nubian, from this part of the Nile, which is one of the reasons that historians believe Rameses built these temples so far south. If the Great Temple wasn’t there then this would be mind blowing in its own right. Temple visiting over, we sat down for a quick lunch of Nile fish, overlooking Lake Nassar, before doing the 3 hour drive back again. Next morning it was onto a felluca again, to the other end of town where we visited the Nubian Museum, another great museum about this part of the world. Then a short taxi ride to the other museum in town, the Aswan Museum, which was so so. Another taxi ride to the unfinished obelisk. It was a half completed obelisk, half carved out of the granite rock. It would have been the biggest obelisk in the world if they had managed to finish it, somehow move it and stand its 1200 tonnes upright, making it 42m tall. Then it was back to the Hotel for a swim, before we took another taxi to the train station for our trip back to Luxor. We caught the 5pm VIP train, which was a very pleasant trip along the Nile, right up to the point we got off in Luxor on a dirt platform, which made pulling all my dive gear in it’s wheelie bag a touch challenging. Our favourite Egyptian taxi driver, Hamli was waiting for us and took us to the Sheraton for our very short second stay in Luxor. Next morning, Hamli was there again to take us to Hurghada on the Red Sea. It was a 4 hour drive through the desert and cost us 600 Egyptian Pounds – brilliant. lifetime at the Marriott. Our cunning plan was to do day dives and our first task was to walk the streets and find a good dive company. We finally settled on Panorama Divers, who turned out to be an excellent choice. Shelley was our dive guide and the boat was well set out. 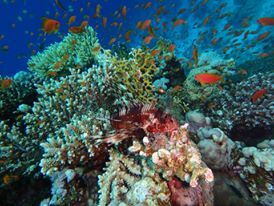 We ended up doing 6 dives with them over 3 days before we pulled the pin and decided we needed to find a live-aboard if we were going to experience the best of the Red Sea. 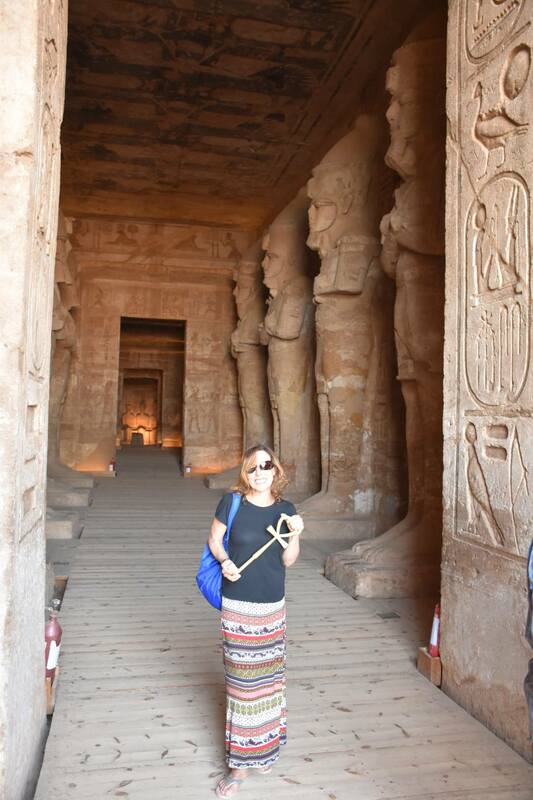 This entry was posted in Egypt and tagged aswan, cairo, Egypt, giza pyramids, hurghada, luxor, nile, nile cruise by stull61. Bookmark the permalink.